Welcome to Milton Toyota, your certified Toyota dealership in the Greater Toronto Area. 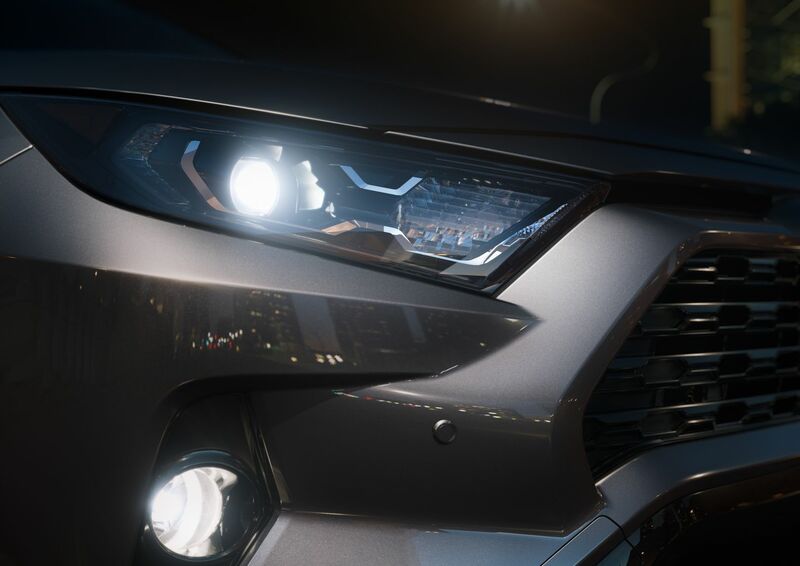 We are presenting the new 2019 Toyota RAV4. You can find all the relevant information below. Enjoy! 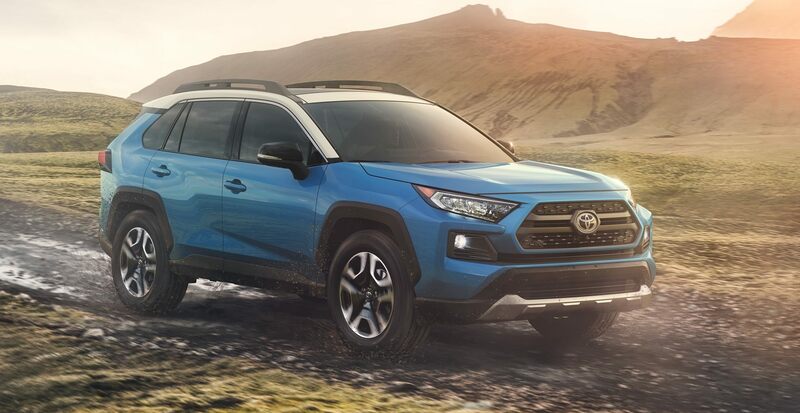 The popular, Canadian-built compact SUV – the 2019 Toyota RAV4 – is impressive by any measure. 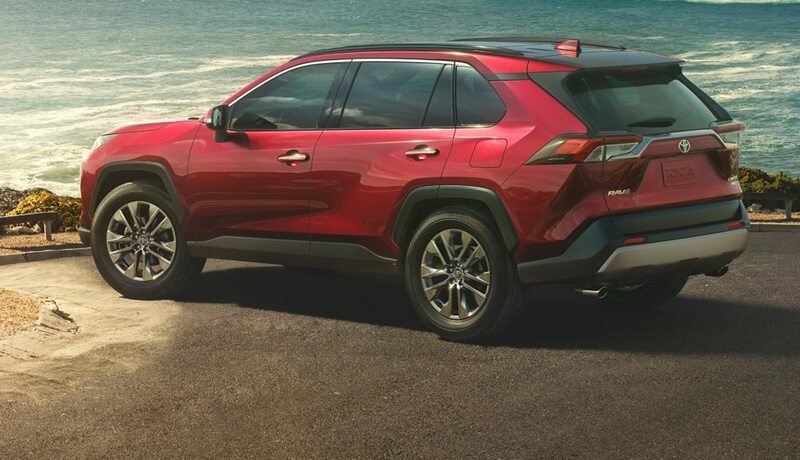 The RAV4 combines driving dynamics, comfort for driver and passengers, cargo-hauling versatility, fuel efficiency and bold styling to make it a perfect choice for busy Canadian lifestyles. The longer wheelbase and wider front and rear tracks provide a stable, confident driving platform. 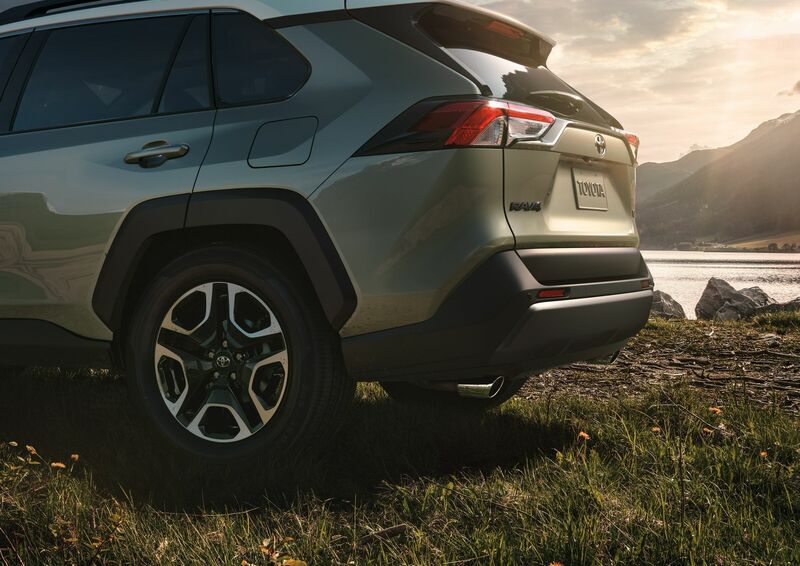 For off-road prowess, the shorter front and rear overhangs will aid in RAV4’s ability to overcome rugged terrain. 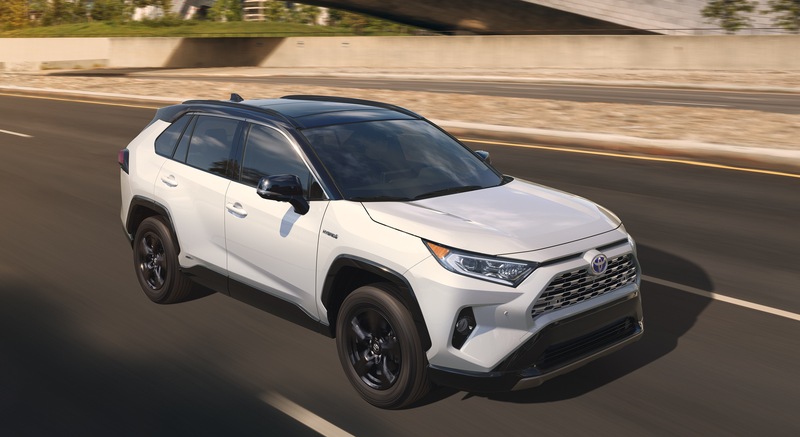 With a 40-percent thermal efficiency (41 percent for hybrids), the 2.5-litre 4-cylinder Dynamic Force Engine is the ideal powerplant for the all-new RAV4 to meet the demand of providing a highly responsive, yet fuel efficient driving experience. The Direct Shift-8AT transmission provides direct-lock up from gears two through eight to eliminate power loss from the torque converter, executing ideal smooth shifts. 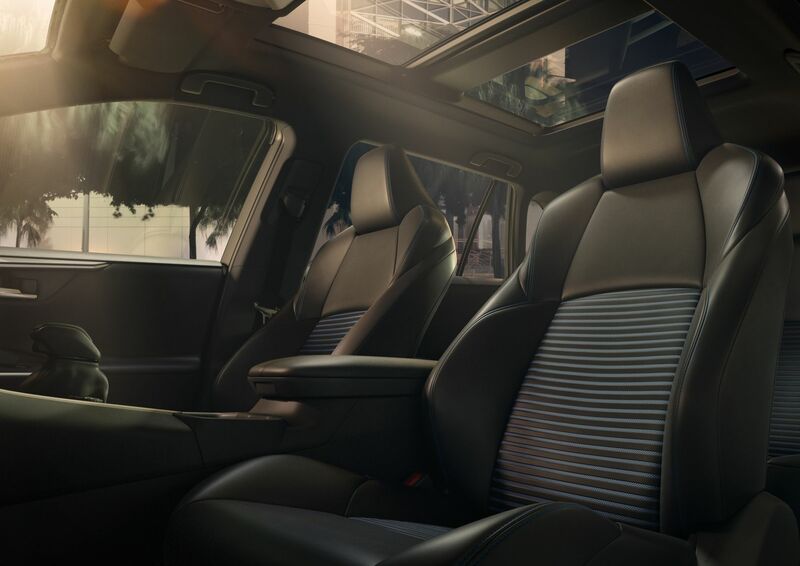 Additional content that enhances the ambiance includes ventilated front seats, heated rear seats, and a panoramic moonroof. When the weekend’s gear fills both hands, the hands-free power liftgate helps considerably by opening with a wave of the foot below the rear bumper. 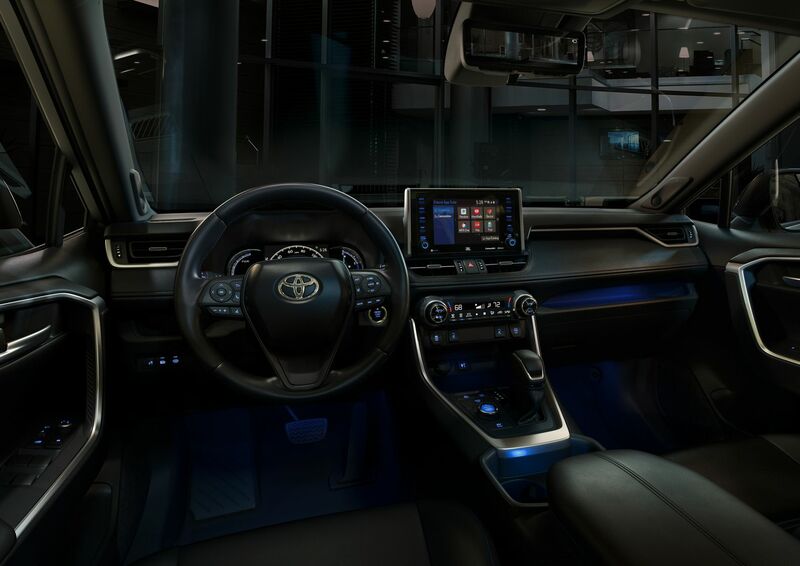 Between front passengers sits a center console having a repositioned standard Electronic Parking Brake (EPB) for easier accessibility. Ergonomics have been further enhanced by an increase in the console’s volume, side-by-side cup holders, and an open tray capable of holding small items, with optional Qi wireless charger. The in-dash tray within arm’s reach of front passengers will see its share of electronics, sunglasses, and travel must-haves. A standard smooth boot adorns the top of the shifter, and the HVAC knobs in the center panel are redesigned for improved tactility.